Enoteca Sileno is a family business, now run by Rosemary Portelli and her husband, John. Set up in the 1950s, it is Australia’s oldest importer, distributor and wholesaler of authentic, artisan, Italian food and wine. After running successfully for so many years, Rosemary was becoming concerned about problems with company morale. Rosemary said she felt stuck. She had nowhere to go with any HR problems and they were taking up too much of her time each day. She was never sure if the information she had was 100% correct or if she was doing the right thing by her employees and the company. She had previously been offered courses to learn more about awards and legislation but didn’t want to have to deal with these matters. She wanted to get to know suppliers within their company – not spend her energy on HR. It was time to take the guessing out of information she found herself on websites and get some advice. Employsure stepped in when Rosemary had a specific staff problem she had to address. She admitted staff can sometimes “let you down” and we gave her the advice she desperately needed. Rosemary used our advice line often, so she could get the “100% correct information” she couldn’t get before. We reassured her about how to handle any further dramas that came up. Like many family businesses, it had developed in an ad hoc manner without keeping up with changes in legislation. We audited the company’s existing documentation and provided her with all the correct paperwork to be compliant. This was reassuring to her and saved her a lot of time in the long run. Advisors have helped clear up a lot of misunderstandings in the company and Rosemary is reassured by being able to “get straight on the phone”, 24/7. She says we have always provided quality advice in any situation. One “huge plus” is the fact Rosemary does not have to repeat herself each time she calls. Since all her details are listed on the system, she receives continuity of advice each time she rings. Rosemary, like many business owners, is too busy to know all the awards and pay rates in her industry. She relies on Employsure to give her the correct answer. Having the correct documentation in place with employees has given Rosemary complete peace of mind they will no longer “do the wrong thing” by her. 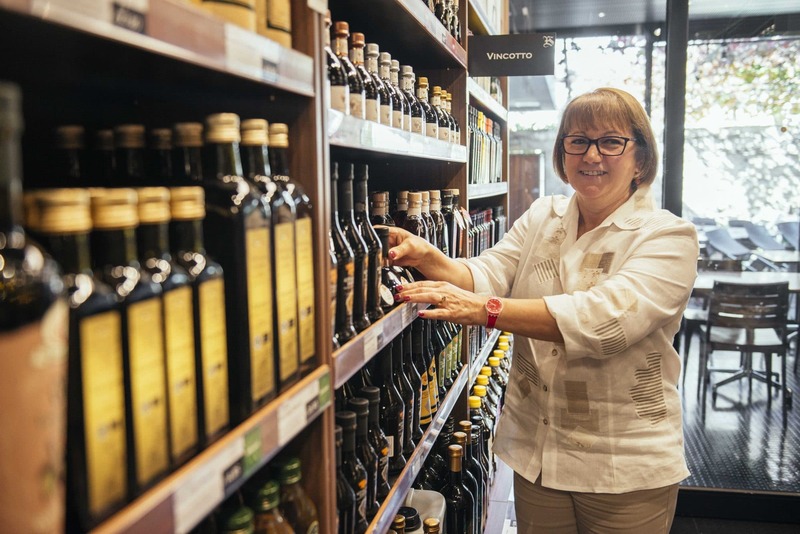 Thanks to Employsure’s continual advice and support, Enoteca has become stronger again and Rosemary is grateful “for what we do” for her company.